We are husband and wife photographers based out of Orange County. We mostly shoot endurance events but have a passion for all forms of photography. We started this blog so we could share our passion for photography with everyone. Photographer, scrapbooker, foodie, wife, and dog lover. All these consume my life in one way or another. I was first introduced to photography by my dad, he took photos and turned them into elaborate collages. That is also probably where I got my first taste of preserving memories. I am now an avid digital scrapbooker. I feel without this hobby I wouldn’t find photography as interesting as I do, they just blend so well together. 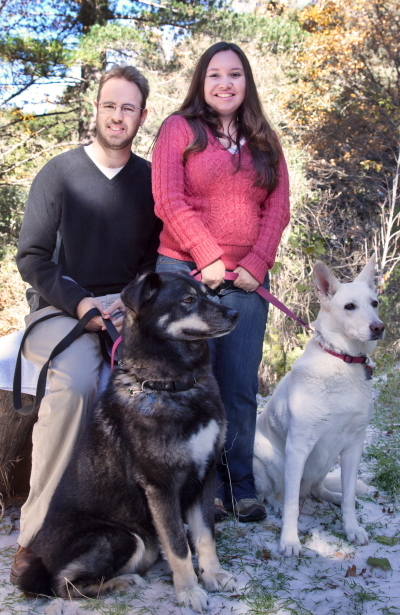 Bryan and I have two rescue dogs together, Maxx the Malamute/Shepherd and Pearl the white German Shepherd. These dogs are like my kids and I can’t imagine life without their little furry faces. My other hobbies include cooking (and not cleaning up after myself), and reading Kathy Reichs novels. I love country music and wearing cowboy boots. 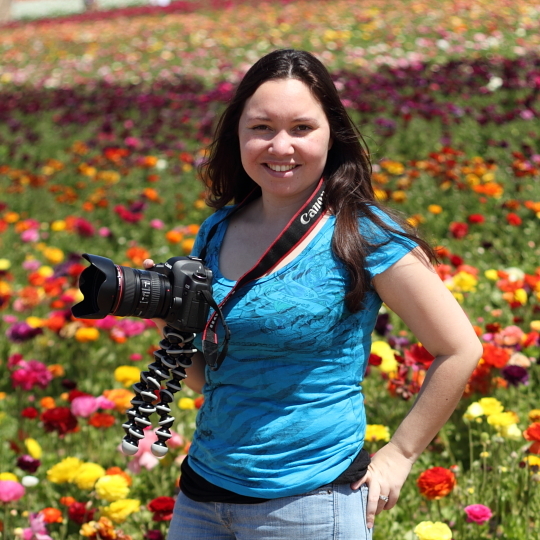 I started as a equine science major at Cal Poly Pomona but left to pursue photography. I’m a native Californian but I hope to leave the state someday. I’m pretty much willing to live anywhere, as long as it has a big backyard for the dogs and a few horses too. I graduated from Cal Poly Pomona in 2004 with a Bachelor’s degree in Business Administration with an emphasis in Electronic Business. Ok, now that I got that mouthful out of the way; a little about me. I’ve worked in Information Technology for most of my working years. I like technology and I use it but it is just a tool. My main hobby and side business revolves around photography. I’ve always been interested in photography but never got serious at all about it until I met Jamie. I find that I tend to be able to produce technically good photos easily. Producing interesting and attractive photos is a whole different ball game. That is where I spend most of my time and energy now. The photos I want to capture have something that is interesting but also something that is hidden and lastly something that is a message or a story. If I can capture just one of these images, I have had a good day. In addition to photography I also like to play video games including role playing and fps types. 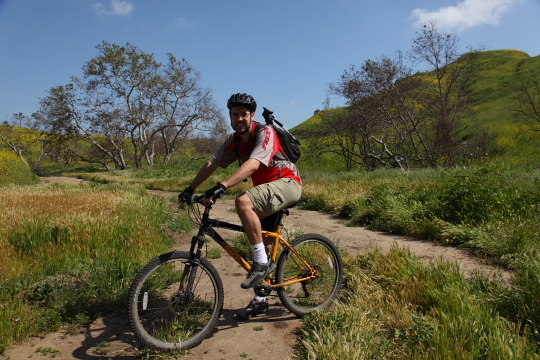 I also own a mountain bike and a road bike although the mountain bike sees more action. My latest hobby involves punching really small holes in really large pieces of paper. I guess I like a challenge although I tend to not be very competitive with others, I instead try to better myself and reach personal goals. I also own two rescue Dogs which I take care of with my wife. They are a handful so it literally does take both of use to take care of them. My dogs are great though and I’m glad we rescued them. We currently shoot with a Canon 5D Mark II and a Rebel T2i and have a collection of lenses including an EF 24-105mm F4.0L IS USM, EF 70-200mm f/4.0L USM, EF 100mm f/2 USM and EF 50mm f/1.8 II. We also shoot with a Canon SD550 and numerous rentals. We shoot film with a Canon A2E and a Asahi Pentax KM.